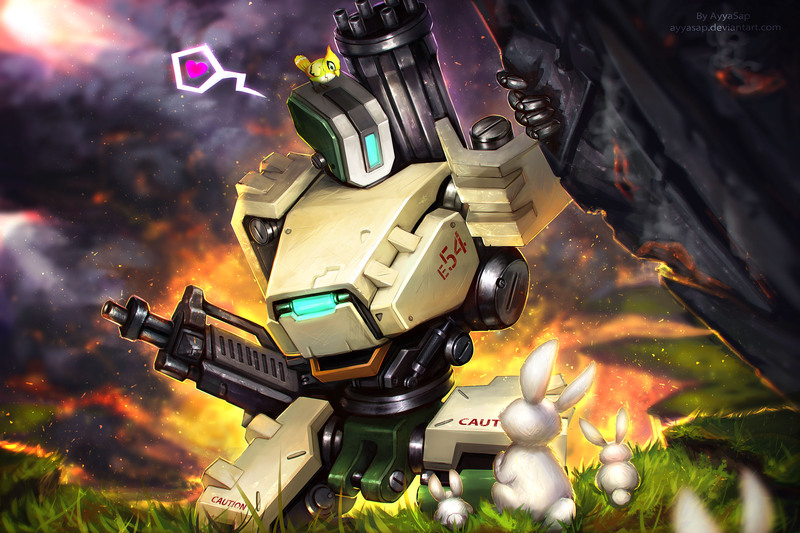 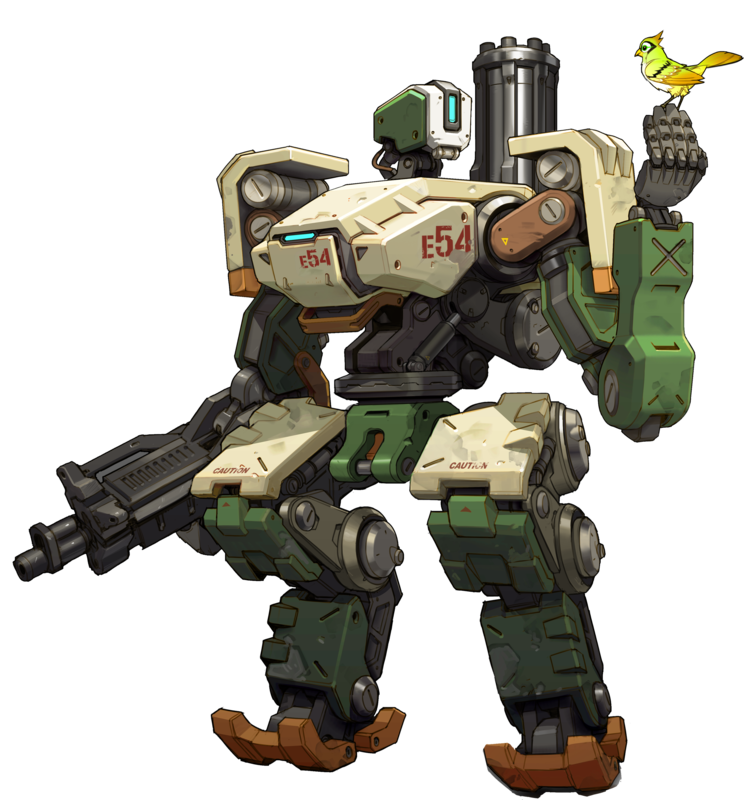 Bastion is one of the playable Overwatch (2016) Heroes and classified as a Defense character. 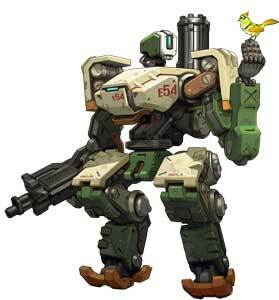 It is a Robot and can configure his Weapon from being a Submachine Gun to himself becoming a whole Tank. 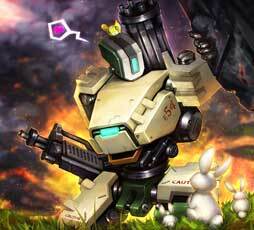 Though “Bastion” appears to be gentle—even harmless, at times—its core combat programming takes over when the unit senses danger, utilizing its entire arsenal to eliminate anything it perceives as a threat. 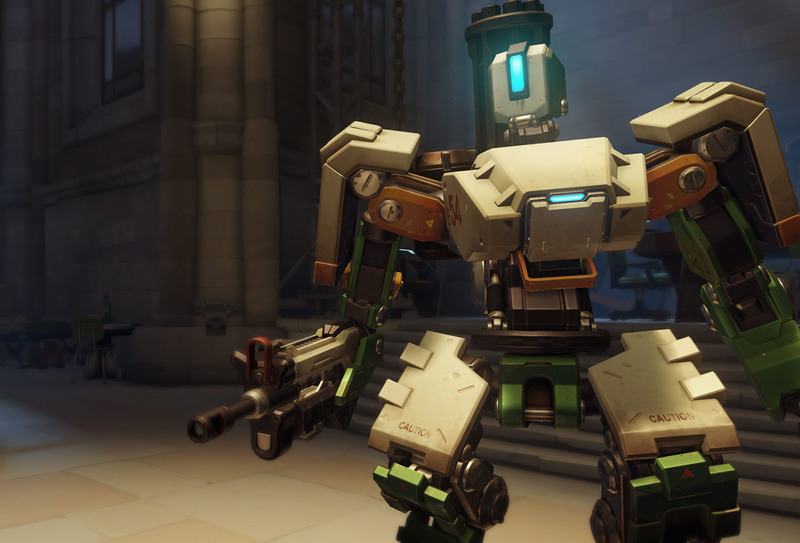 This has led to instances of conflict with the few humans it has encountered, and has driven it to avoid populated areas in favor of the wild, uncharted regions of the world.